The crypto world, with all its freedom, risks and rewards, seems like something out of a western. Within this wild west-like world, see seeing a company committed to transparency and accountability to its community is a rare treat. But there are some who do it. If you missed the news, Cointed (a major crypto ATM provider and exchange) has just released its Transparency report. In it, you can find everything about their company structure, ownership as well as get the details surrounding their different businesses. Here, we’ll highlight the things you MUST check out from the report. If you want to learn about the company structure and ownership, check out this article. 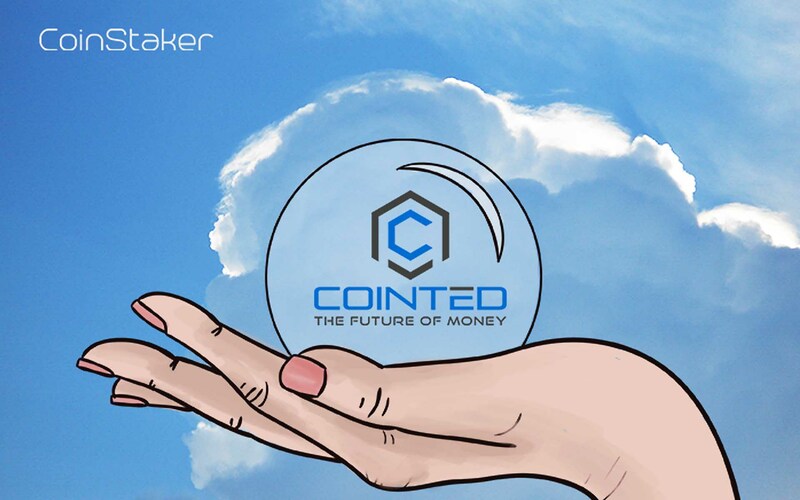 Want to learn more about Cointed and the future of money? Check out our full profile of one of the hottest crypto players out there! Cointed own a total of 120 crypto ATMs located in Austria, Italy, Hungary, Spain, Lichtenstein, Bangkok. They have two models: a One-Way and a Two-Way machine. One way devices are mostly produced by ex-partner company General Bytes and the second are in-house developed. Around 90 of them are one-way and are produced by partnering companies. The remaining are model X. Cointed is overhauling their already established network by gradually replacing their one-way machines with the proprietary two-way model X. Also, the team is working on nine new prototype machines. If you are among those worried about the beef with General Bytes, in the report you can find attached all of the documentation surrounding this partnership and have your own take on the situation. Currently, the Cointed exchange has more than 25.000 registered users and since October their revenue is doubling every month. 10 doesn’t sound like a lot, but for an exchange that operates with fiat money, it is pretty impressive. Coinbase, one of the largest fiat crypto exchanges offers only 3 different types. Three different fiat currencies are accepted: Euros, US dollars, and Swiss Francs. Soon, Turkish lira will be accepted too. Clients also get to choose from 4 different paying methods: card, wire transfer, PayPal or MoneyGram. Note that all clients undergo Know Your Customer processes and must verify their identity to use the exchange. Attached you can find the provisional profit or loss account and preliminary balance sheet, both created by Deloitte Austria. You’ve heard the news on how mining is VERY energy consuming. For Cointed, it wasn’t news, though. They’ve been working on green mining from the go. They offer two types of mining contracts. The first option is: you buy the hardware, and Cointed brings it to you. Second option: buy the equipment but leave it at Cointed’s vast green mining facility in Sweden. Why leave it at Cointed’s? For a small hosting fee, you get full maintenance and support, while also enjoying the cheap renewable energy the plant uses. It’s like leaving your car at the mechanic and still being able to drive it to work. Graphic Card Suppliers Nvidia is known for their closed development process when it comes to their GPUs design. However, for business clients, they provide the option for customization. The report includes documentation of the deal, like invoices, order initiation and the non-disclosure agreement (NDA) between the two companies. Currently, we cannot share details about these cards’ specs. The specific aspects and capabilities of this card are a product of extensive research and development, this is why Cointed and Nvidia decided not share them. The design of the GPUs will be optimized for mining. Also, specifications and all hardware aspects are designed to work together with Cointed’s proprietary software, customized cases, and rigs. Sapphire is the second of Cointed’s GPU suppliers. They are providing 10,000 Radeon RX 470 Mining Quad UEFI 4GB. More than 3,000 of these are already operating at Cointed’s facility. The documents surrounding these deals, like invoices, specifications of the Unity Miner, and the hosting agreement are all in the report. PayCo is a payment interface that can be integrated into POS and other payment processing systems. The biggest perk of this product is that it allows the immediate exchange of the payment from crypto to fiat. This lets the client pay with bitcoin and merchants receive USD or any other of the currencies that the Cointed online exchange supports. Of course, merchants may choose to receive the payment in crypto too. Currently, the interface is still in beta phase. Cointed is aiming to release it to the public by Q2/2018. Cointed’s project truly stands out in the field of ICOs. Their commitment to accountability to their community is commendable and rare in the crypto field. So, do not miss out on your chance to become part of the future of money. The token will be listed on an exchange and we will soon update you with the details. Only a month left from the ICO! 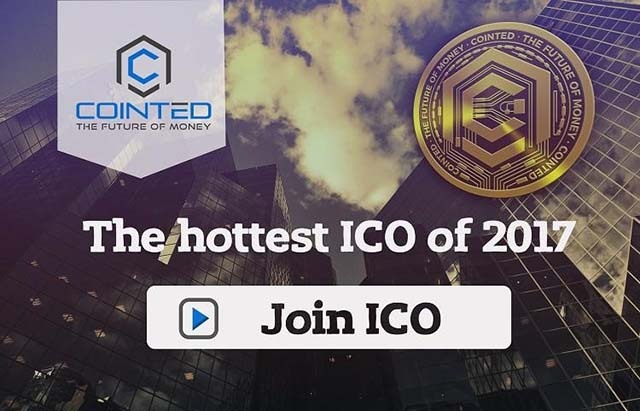 Do not miss out on Cointed and also on the hottest Bitcoin News!